Google Apps For Education – What is it (good for)? Today I have been asked to speak at the CEOM Eastern ICT Network Meeting and discuss some of the ways that our school has been using Google Apps For Education. This presentation draws on some previous work around Google Forms for assessment, Google Sites for e-portfolios, and Genius Hour. 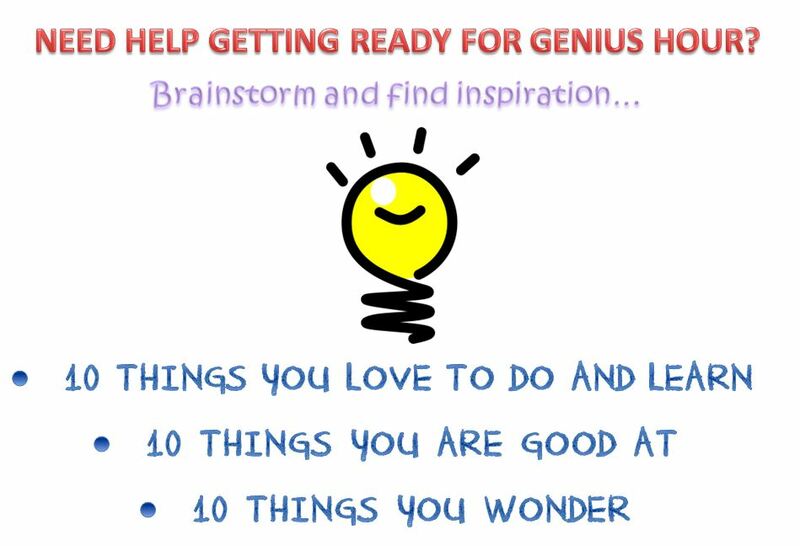 Since my return from the #STACCE13 tour, myself and a collegue (@rissL) had the ambition to trial Genius Hour with our students (You can read about her introduction to Genius Hour with her students here). One our trip highlights was our visit to Google in California and finding out more about Google’s 80/20 time, where engineers are encouraged to take 20% of their weekly load to work towards personal projects of their choice. 4) Could only be worked on after core curriculum lessons were completed. At the ISTE13 conference, we caught further murmurings of terms like Genius Hour and 20 Time. Upon further investigation, it was here that I realised that Genius Hour or 20 Time is essentially the same as “Passion Projects”, which I believe is a term and an idea which has been around for at least a decade. Calling it whatever we like, in essence it is about giving students true freedom to inquiry and follow their heart and mind to their interest areas and talents. I believe that Genius Hour, for our students, would allow for the opportunities to be engaged and motivated in something personal, allow to exercise creativity, and encourage the development of self-directed learners. Even though we embed inquiry and student-centric pedagogy in a lot of aspects of our curriculum, Genius Hour is allowing for true freedom and discovery. What if schools treated students like Google treats its engineers? In year 5/6 we have 130 students with their own laptops, which means researching and presenting their information for their projects should be a breeze. I teach together with 4 other teachers in our level. We started by talking about the idea of Google’s 80/20 time to the students, and explained that we would be offering them a similar opportunity. We stressed that it will be their choice to decide what they learn, and present it however they like. They would be given roughly 1 hour during the week to work towards their projects. I also made this sweet banner as our Genius Hour poster, and explained that photoshop was something that no-body taught me, because I was never given the opportunity to learn it. But I decided to find out if I could teach myself. The result is that I now have a basic knowledge of photoshop! This was the idea that we communicated to them about Genius Hour, that they were to be the ones to decide what to learn, how to do it, and then what to do with it. Our Genius Hour poster / logo, inspired by the wisdom and genius that was Albert Einstein. We also talked about one notable genius in Albert Einstein. Albert Einstein was undoubtedly an incredible intellectual man, who contributed a great deal in the field of Science. But a genius is someone who is also creative and uses their natural talents. We aimed to communicate to our students that they are geniuses in their own right, as they have their own multiple intelligences, can all be creative, and all excel in some form of natural talent. It is going to be up to them to be a genius! 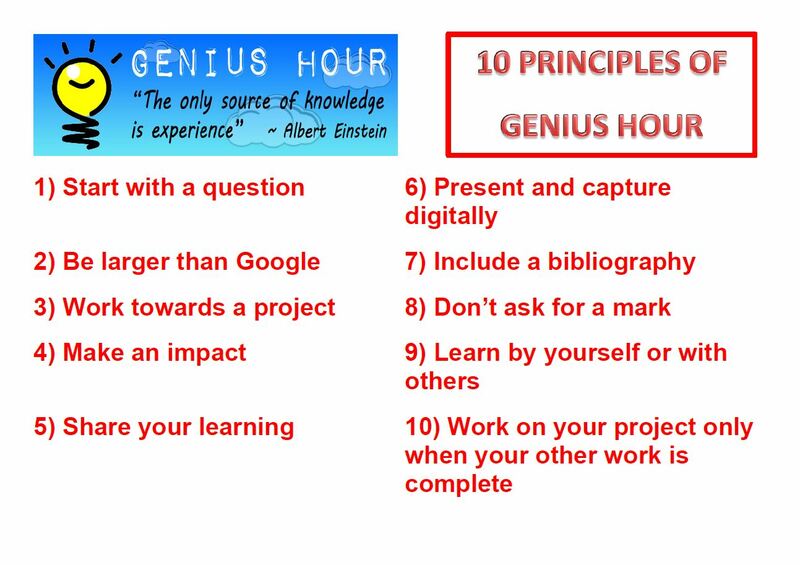 In commencing Genius Hour, I designed 10 principles to guide our students in the desired direction (tongue in cheek!…isn’t this how class inquiry sometimes goes?). I based these principles from what I have read and understand about Genius Hour, and suiting it to our students and the desired process. 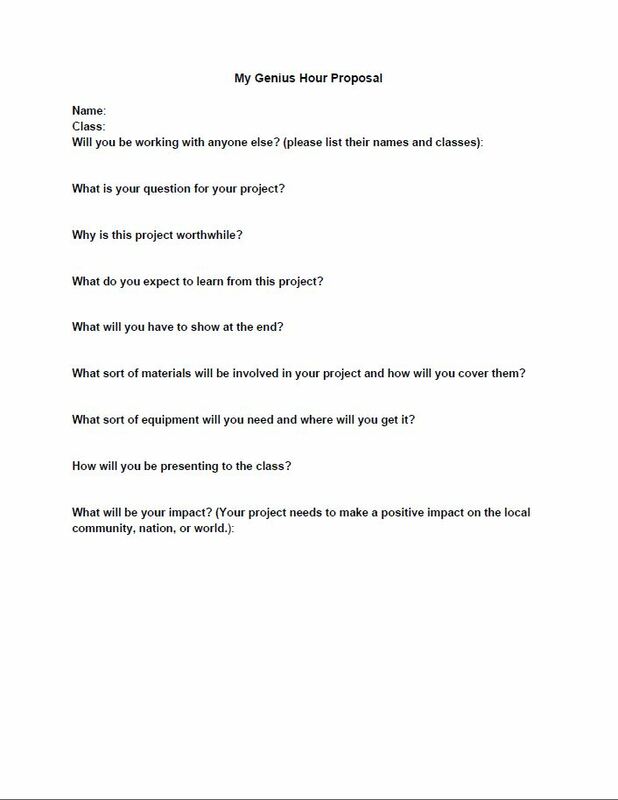 1) Start with a question – We want our students to lead an inquiry, and the question becomes the most important thing in determining how deep the project becomes. 2) Be larger than Google – This term comes from @rissL‘s idea (see her project guidelines). It means that we want our students to investigate a question that cannot be simply answered with a simple Google search, or a flick through a book. Why teach others about “What are reptiles?” when the answer can easily be discovered for oneself? 3) Work towards a project – We want our students to have a desired outcome, product or goal related to their question; so that they are satisfied that they have actually done or achieved something. 4) Make an impact – We want our students to think about how they can change the world, whether that is on a local, national, or global stage. We are raising the expectations that they can contribute something meaningful, just like our idol Einstein did. 5) Share your learnings – We want our students to communicate and celebrate their learnings and make those above-mentioned impacts. We plan on asking our students to present back to their class in any format they choose, as well as holding an open expo day in our school where other students, teachers, and the local community can come and see the student’s passions and interests. @rissL and I also plan on setting up a virtual expo where our students can share their learnings with each other in an online space. 6) Present and capture digitally – Even though our students have their own laptop, and would probably opt to use their laptop for research and presenting information, we didn’t want to force this upon everyone. However, we do want our students to collect digital artefacts, even if they are making a poster, model, or completing an action. Having digital evidence means they will be able to participate in the virtual expo. 7) Include a bibliography – We want our students do be digitally literate and 21st century citizens, which means giving credit where credit is due! We are recommending to students that they write down their sources as they go. 8) Don’t ask for a mark – We want our students to be intrinsically motivated and self-critical of their own processes. 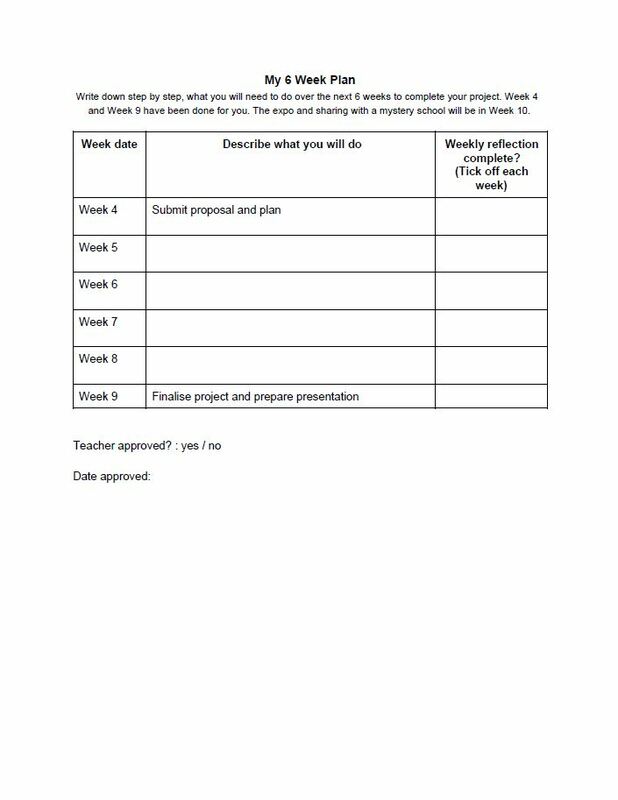 We are placing emphasis on the students conducting weekly self-assessments and reflections, but we are trying to de-emphasis an expected “mark” as much as possible. 9) Work on your project only when your other work is complete – In some ways, Genius Hour is a direct contradiction to what goes on in most of our school day, where the teacher ultimately decides the content. Nevertheless, the nature of the beast is that there are certain things that the curriculum dictates that we teach, and students need to know. We are hoping that Genius Hour will motivate students to get through the normal syllabus as required so they maximise the time they could be following their passions. 10) Learn by yourself or with others – We want our students to decide for themselves if they are pursuing their interests individually or with others. We are trying to discourage groups larger than 4, as it may lead to some students passively standing by as others take the lead. …was quite interesting. I was expecting massive enthusiasm and the grins to take hold around the room when the students do the token fist-pump “yes!” to each other when you introduce something as engaging and motivating as Genius Hour. There was a fair bit of that, which was great to see. What I wasn’t expecting was a few bewildered faces! Maybe for one, because they were in a bit of shock about the whole idea, or for two because they didn’t know where to start. On the extreme end, sadly there were some tears to be had as well, even from “the smart” kids. 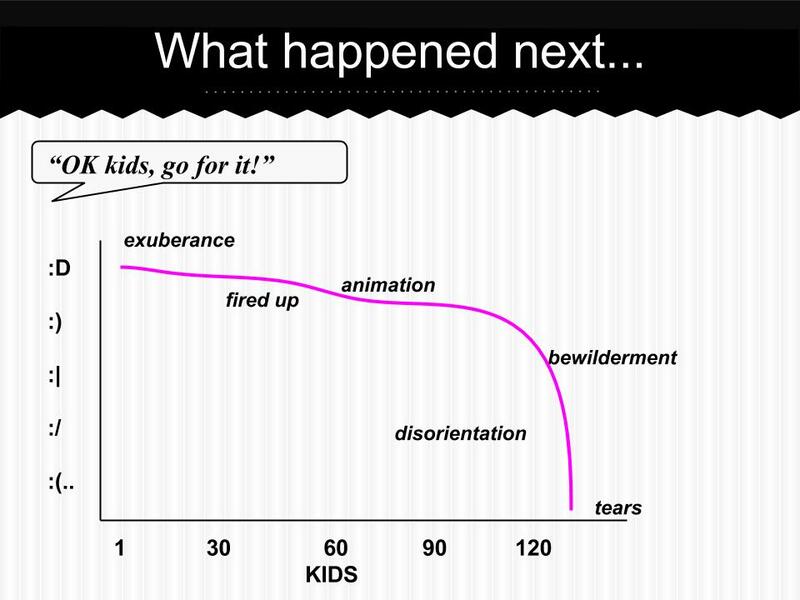 Upon reflecting about this, the few students that struggled with this initial idea of Genius Hour are falling into 2 categories ; 1) the kids who struggle at being truly independent and taking charge of their learning, or 2) the kids that appear to be “clever” and are great at churning out the answers when spoon-fed, but struggle when it comes to creativity. As mentioned at the top of this blog post, our goal is to give students the opportunity to be engaged and motivated, exercise creativity, and develop self-directed behaviours. While it might not all be plain sailing, our job is to ensure that we guide all students through this process. 3 students who want to educate drivers on the dangers of illegal street racing, and provide solutions for car enthusiasts in a safe environment. Overall there is a large amount of enthusiasm shared by students. I think they, as well as the teachers, are looking forward to what they will be coming up with over the next few weeks.